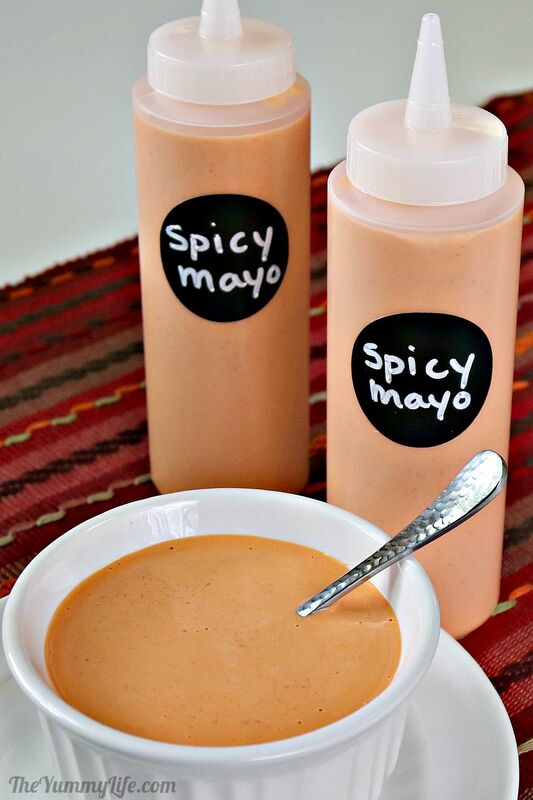 This Asian hot sauce adds flavorful zip to spicy mayo. These make it easy to dispense and store spicy mayo. These bottles have conveniently attached lids, so no worries about losing them. These are fun, easy to use, and the perfect size for labeling condiment squeeze bottles. The ink stays put, but can be removed with window cleaner. 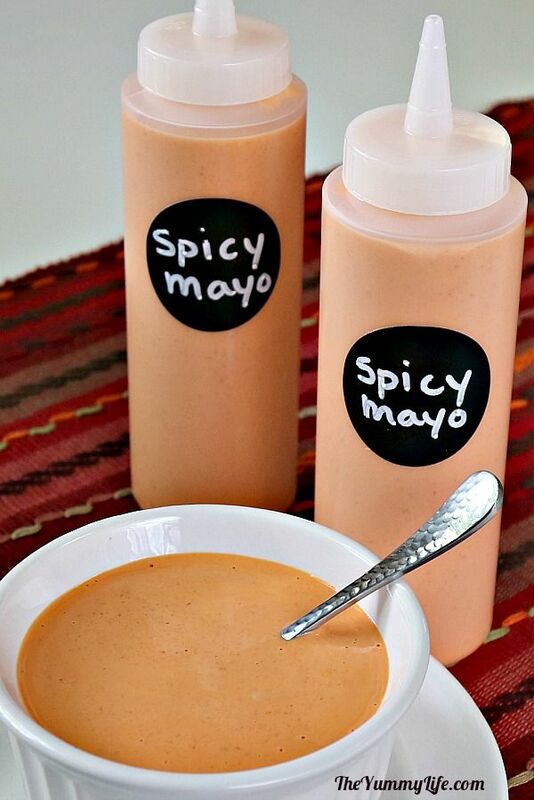 Drizzle this easy sauce on rice or noodle bowls, sushi, sandwiches, burgers, tacos, eggs, and salads to add a flavorful boost of creamy heat. In small bowl, stir ingredients together until uniformly mixed. Cover and chill for at least 1 hour. May be made ahead and refrigerated. Keeps for up to 1 week. 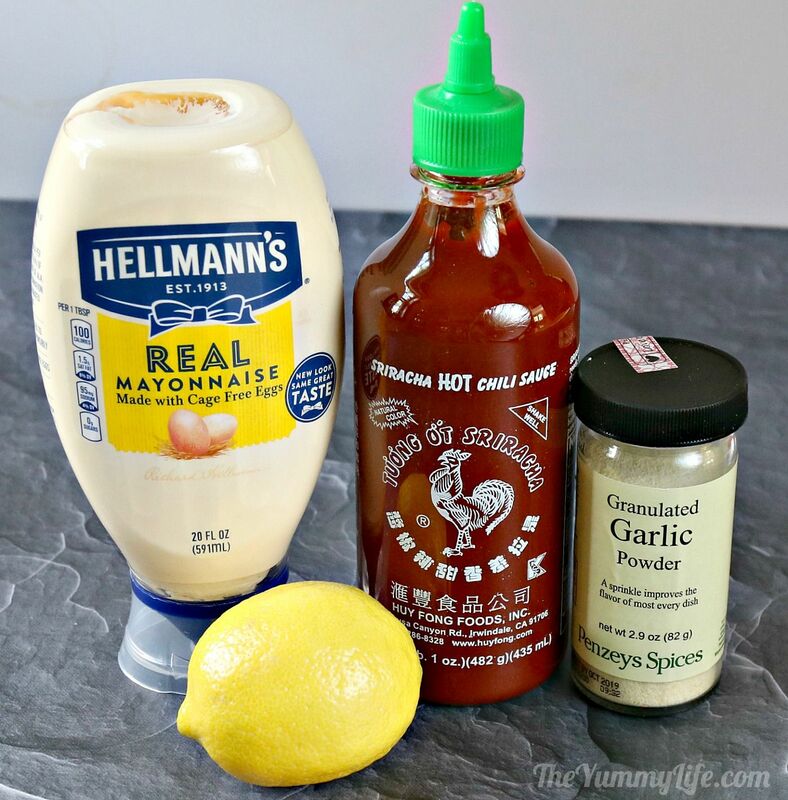 SERVING TIP: Transfer sauce to a condiment squeeze bottle for easy dispensing and fridge storage. 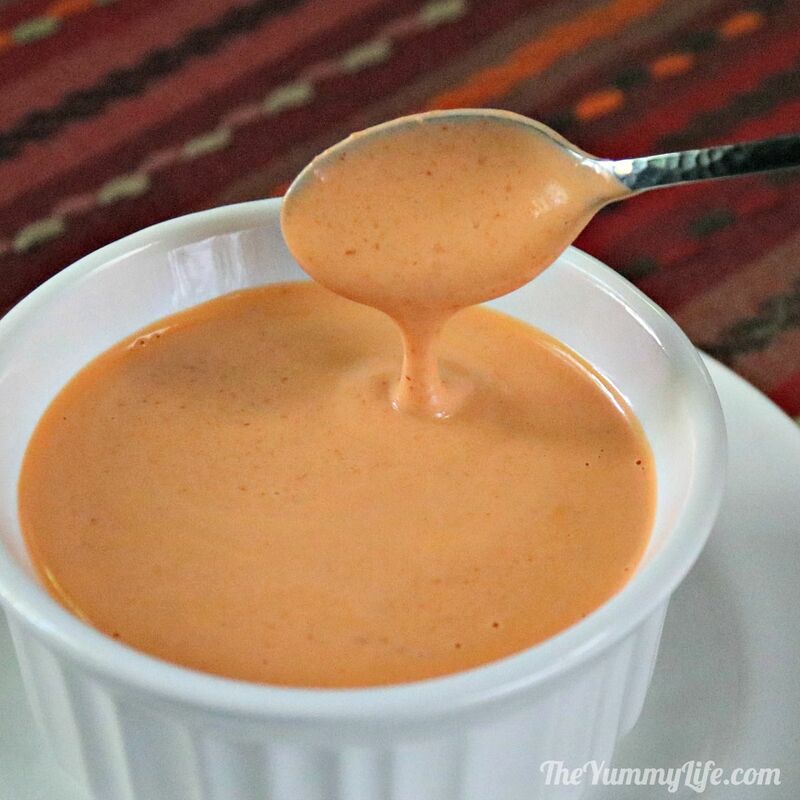 This easy 4-ingredient sauce adds a creamy, spicy flavor boost to rice or noodle bowls, sushi, burgers, sandwiches, tacos, eggs, and salads. You can control the level of heat by adding more or less hot sauce. Step 2. Add all of the ingredients to a small bowl and stir until uniformly combined. This has a thin consistency. You can drizzle it on with a spoon or spread it with a knife. 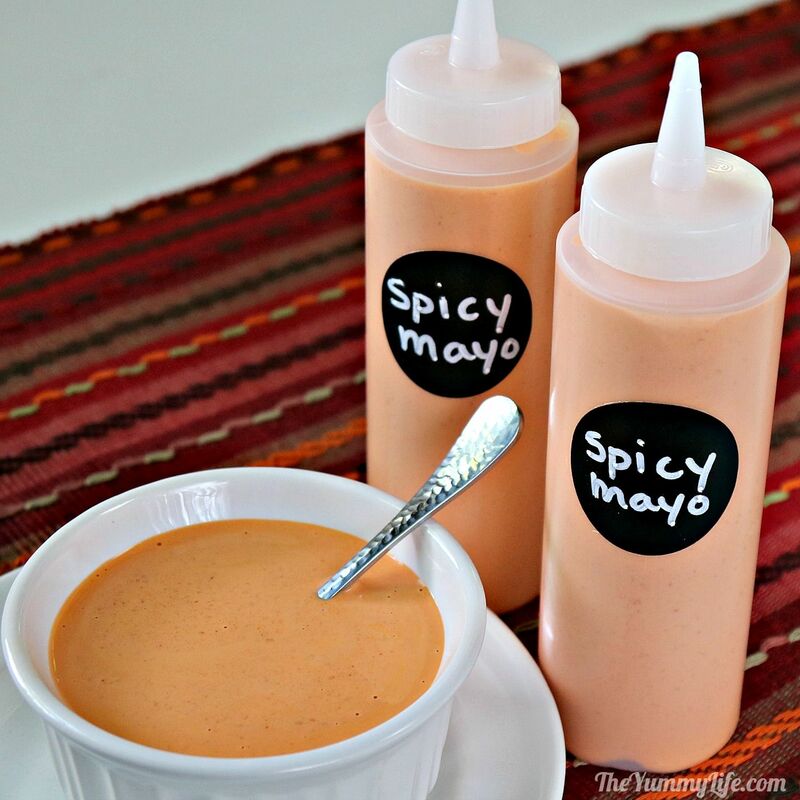 I prefer to serve Spicy Mayo Sauce in condiment squeeze bottles for easy dispensing and fridge storage. I labeled these bottles for easy identification on a buffet table. Perfect for Korean Bibimbap and noodle bowls. I periodically prepare lunch for the hungry crew at my sons' company Less Annoying CRM located in downtown St. Louis. 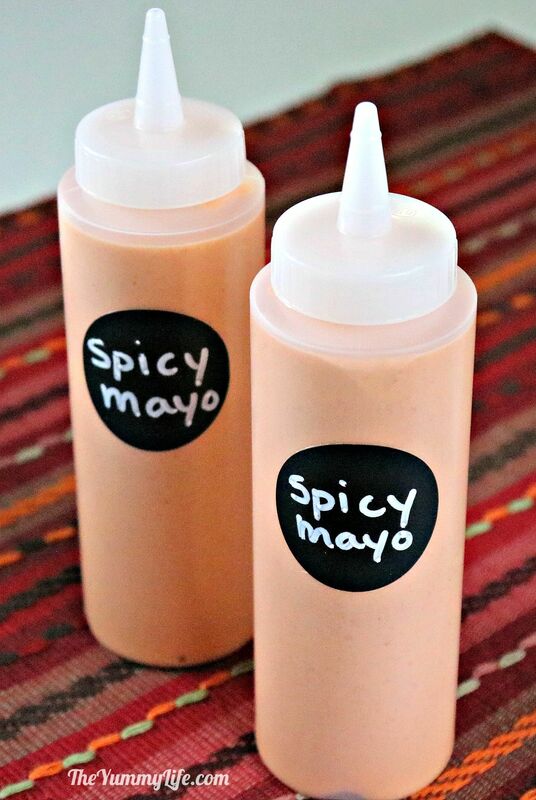 This Spicy Mayo was among the condiments included on a make-your-own Korean rice or noodle bowl buffet. 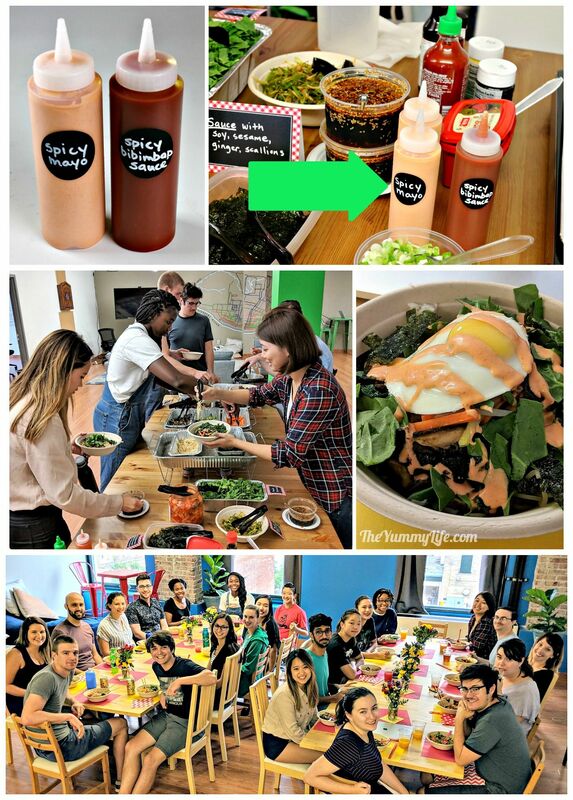 I served it along with homemade Spicy Bibimbap Sauce, Everyday Korean Sauce, and store bought Sriracha and Gouchujang (Korean chili paste). Try this creamy, zippy sauce on burgers and sandwiches, too. Yum.